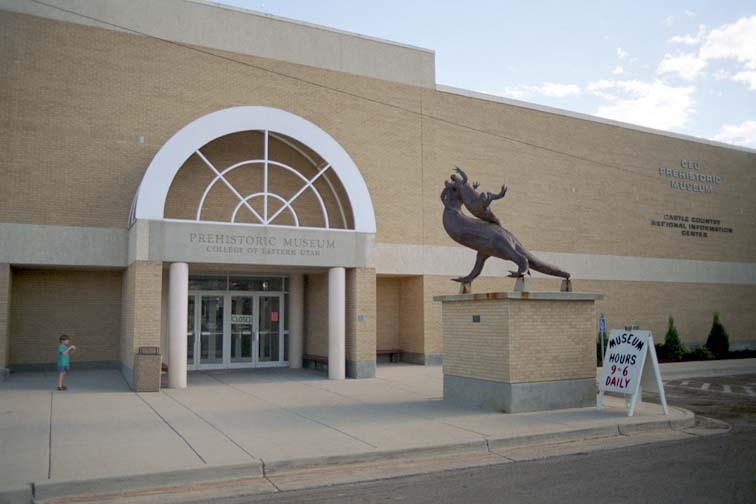 The Prehistoric Museum is in Price, Utah, off Main Street. 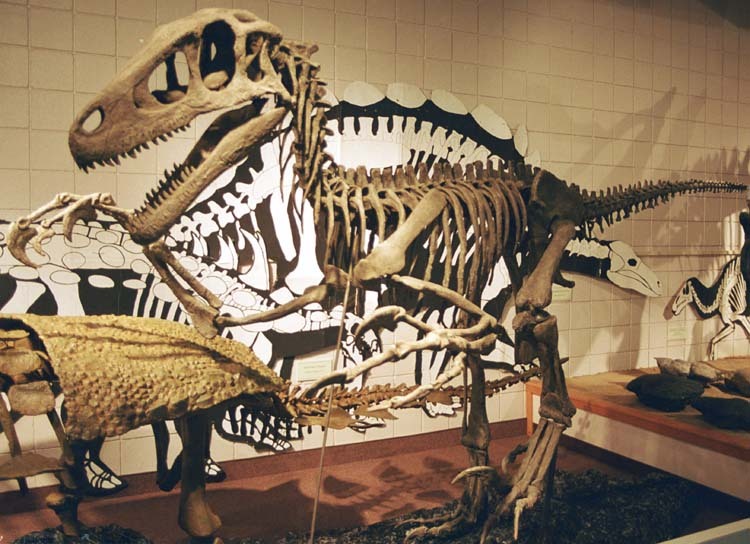 It contains a cast of the holotype for the newly-discovered Utahraptor. Thomas is standing in front of the central display on the main floor. Standing behind him is an Allosaurus. This is the central display on the main floor, viewed from the balcony. 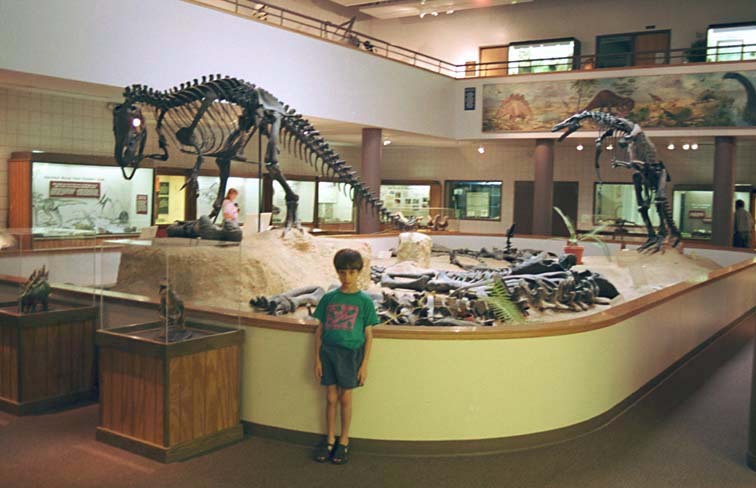 The Utahraptor is displayed on the balcony. 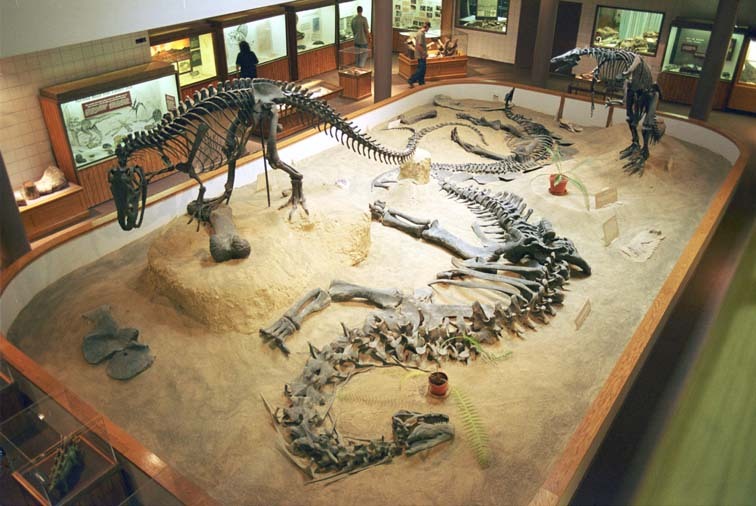 CEU has a big collection of dinosaur fossils but little space to display it. There are plans to get more display space. This display in five cases on the balcony is of five dinosaur footprints matched with the feet of dinosaurs likely to have made the footprints. 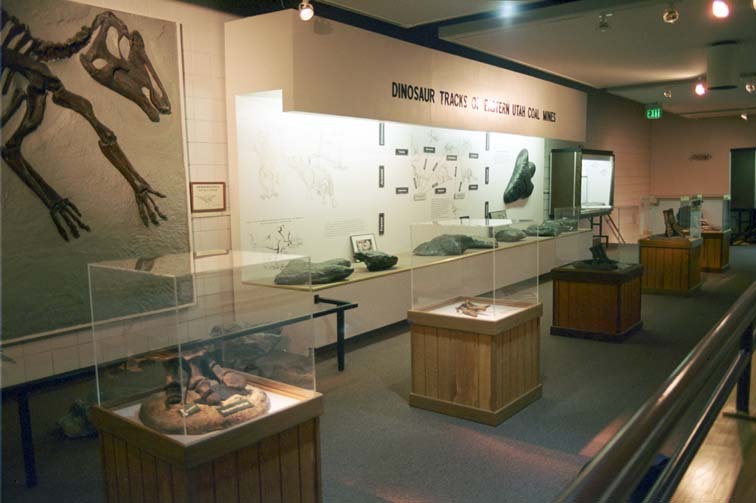 In the case along the wall is a display of huge dinosur footprints from coal mines just north of Price. Thomas is getting ready to take a picture of the sculpture in front of the museum entrance. The entrance is not on Main Street; it faces away from Main.